59 EMERSON Staff Fund First TESDA Scholar; and Offset an Estimated 1,200 Tons of Carbon Planting Trees | FEED, Inc.
27 May 2017, Siniloan, Laguna. Usually, we start our half day planting programs from 7-730 am in the morning, when environmental warriors from the general public or companies join us to adopt trees, build edible gardens or reforest the Philippines. On this day, Emerson planted 1,200 Philippine native trees and became a Corporate Social Responsibility (CSR) Patron of Education & the Environment, with 59 of their staff (representing around 25% of their total human resource presence in the Philippines) also having raised funds among themselves to send FEED’s first scholar to the Technical Education and Skills Development Authority (TESDA) – Mr. Jhoman Picardal, FEED’s nursery manager based in La Union province taking up carpentry to upgrade and diversify his skillset with sustainable wood-worked products. The average number of trees per hectare (in agroforestry and/or industrial plantations) ranges from under 500 to over 2,000; in this instance, with spacing of 1 square meter between each Philippine indigenous tree, according to Forester Rey Lorida of Laguna Quezon Land Grant, this tropical tree plantation can sequester an average of 10 tons of carbon per hectare per year. So the 1,200 trees can sequester an average of 1,200 tons of CO2/tree/year for 120 years! Congratulations to EMERSON volunteers, now CSR Patrons of Education and the Environment! May your support also inspire others to continue these efforts. Emerson in the Philippines plays a strategic role in supporting global and regional functions for the company and its customers, in the fields of accounting, customer support, finance, information technology, human resources, marketing and business development and supply chain management.Emerson employs more than 4,000 people in the Philippines. Emerson began operations in the Philippines with Emerson Network Power establishing its presence in 2001, followed by other Emerson businesses and support functions in subsequent years. Today, Emerson has offices or facilities in three locations in Metro Manila (Mandaluyong City, Pasig City and Quezon City). Emerson facilities in Mandaluyong City and Quezon City play a strategic role in the company’s operations, as it provides services and training to global, regional and local customers of nearly all its business units, in the fields of accounting, customer support, finance, information technology, human resources, marketing and supply chain management. In the Quezon City facility, customers are provided with specialized facilities, such as the Integrated Solutions Center, Emerson Process Management’s Technical Learning Center and Emerson Climate Technologies Partner Plus Technical & Training Center. Emerson Process Management’s process solutions and services organization in Pasig City supports the business unit’s engineering, product development, customer support, advanced services, operations, and marketing and sales support functions in Asia Pacific and globally. University partnerships. Emerson, through its business units, partners with country’s top universities, including the University of the Philippines, Mapua Institute of Technology, De La Salle University, University of Santo. Tomas and Rizal Technological University,through internship and training programs, as well as laboratory sponsorships/improvements, to promote engineering as a career and to offer engineering, IT, and marketing internships with the company. Corporate citizenship. Emerson is committed to acting as a good employer and as a good corporate citizen. 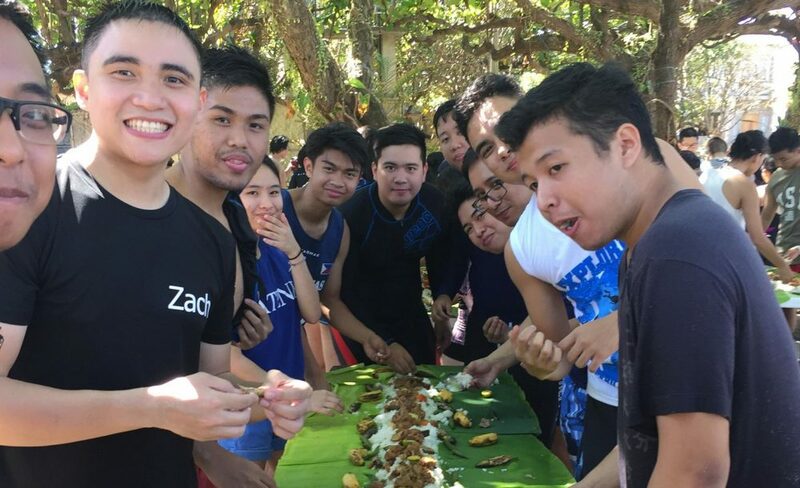 Emerson contributes to local charity programs in the Philippines and offers​ scholarships through organizations such as the American Chamber of Commerce Foundation. The company is also a corporate supporter of Habitat for Humanity, helping families secure decent shelter and improve their living standards. Emerson also supports typhoon Haiyan-related recovery efforts through local organizations, Philippine Red Cross and Negrense Volunteers for Change. To organize your CSR planting, contact FEED via email info@feed.org.ph, phone/text +63 (0)917 552 4722.